Or view larger version. Cesar Chavez, left, and Alameda County Supervisor John George stand in front of a United Farm Workers banner advocating a grape boycott. They are in front of a Safeway store in Oakland, California. July 22, 1985. Lonnie Wilson, photographer. Gelatin silver print. Collection of Oakland Museum of California. The Oakland Tribune Collection. Gift of ANG Newspapers. 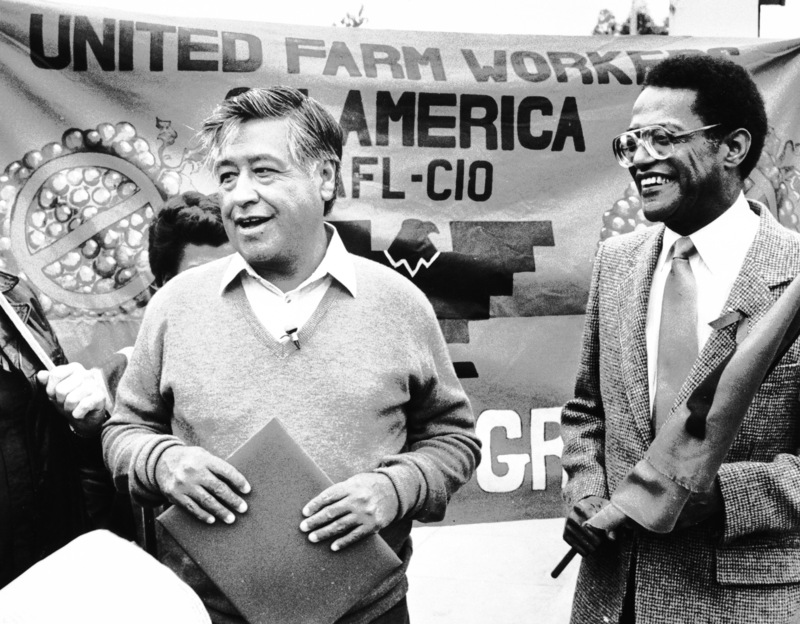 In this photograph, United Farm Workers leader Cesar Chavez and Alameda County Supervisor John George are seen in front of a UFW banner urging consumers to boycott grapes.